Friday night is usually "date night", so save some cash by getting a free drink at AMC Theatres when you purchase a popcorn. Click here for the coupon! Labor Day weekend means its the Orange International Street Fair! Click this link for a map of the festival This years Fair will be held September 3rd -5th Hours of operation: Friday September 3rd 5pm-10pm Saturday September 4th 10am-10pm Sunday September 5th 10am-10pm Alcohol sales end promptly at 9pm each night. Location: Chapman Ave and Glassell St (Orange Plaza)Click for map Parking: Various City and private lots managed by local non-profits for a fee. Free Street parking also available. Transportation Links OCTA (Bus and Train) The Orange Metrolink Station and OCTA drop point is one block West of the event For more information visit http://orangestreetfair.org/ http://tinyurl.com/258jtkh Pls RT! Click here for a printable version Celebrate Oktoberfest with some sweet savings from Polly's Pies! http://tinyurl.com/258jtkh Pls RT! Right now, enjoy a 50-minute Pure Relaxation Massage or Spa Style Facial at a very special price of just $89 (regularly $105). Right now, enjoy a 50-minute Pure Relaxation Massage or Spa Style Facial at a very special price of just $89 (regularly $105). Offer can be upgraded to an 80-minute Pure Relaxation Massage or Spa Style Facial for $119 (regular price $155). San Francisco pricing: 50-minutes is $99 (regular price $120). 80-minutes is $129 (regular price $175). Must present this coupon to get this special offer. Make your reservation today. 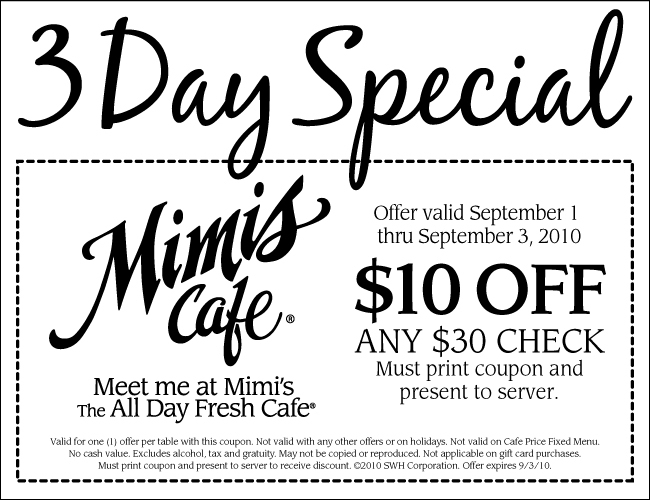 Offer expires Sept. 30, 2010. http://tinyurl.com/258jtkh Pls RT! Sept 2 only: Free chips & juice from Tully's w/ purchase! September 2nd only: Stop by a participating Tully's and, when you buy a deli sandwich or salad (or soup, if you work at Boeing), you'll receive a free bag of Popchips and a juice by Purity Organic Drinks! Only while supplies last, so make sure to show up early! http://tinyurl.com/258jtkh Pls RT! Sept 15 is Free Dessert Day at Opentable.com! Tune in September 15 to watch the premiere of Top Chef Just Desserts on BRAVO! *Note: Can not be combined with any other offer, event, discount or promotion. Not all restaurants on OpenTable.com are participating in Free Dessert Day. http://tinyurl.com/258jtkh Pls RT! Did you know that you can get free stuff from Starbucks? It's true, check out their Rewards program! Just added! if you sign up before September 21, you get a FREE Artisan Breakfast Sandwich. Click here for more info. Simply get a gift card and go to Starbucks.com and register the card. You will need to add funds to the card (you can do this in person or online).When you have visited Starbucks 5 times, you've qualified for the Green level. Purchase a beverage with your registered Starbucks Card and you can get your syrup and milk options (like soy) on the house. Foodies: use Opentable to eat out and earn free dinners! If you are a foodie who likes eating out at nicer restaurants, check out Opentable.com. Its a free reservations system, and when you earn 2000 points, they'll give you a $20 gift certificate to use at ANY of the Opentable restaurants. 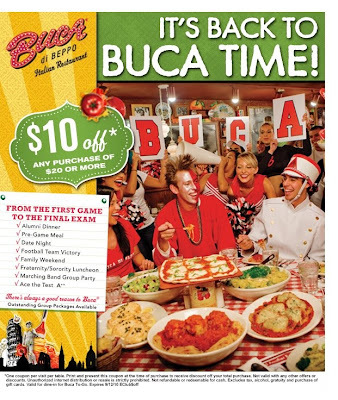 Save up your points, and you can redeem $100's of dollars for a completely free dinner. Many fine restaurants like the Patina Group offers online reservations on their web site using Opentable as their provider. However, if you book on the restaurant's site, you don't get points to earn free food! Instead, book online directly at Opentable and earn between 100 to 1000 points towards free food! Corner Bakery: take a bite out of hunger, get free Whoopee Pie! Join us in the fight against childhood hunger. Support Share Our Strength's Great American Dine Out to make "No Kid Hungry" a reality. It's easy! From September 1st - 26th, when you visit Corner Bakery Cafe and give to the cause we will match your donation and treat you to a variety of tasty offers. Receive a FREE Whoopee Pie with a $1 donation and with a $5 donation receive a book full of delicious offers (over a $20 value). Stop by today and together we can help end childhood hunger in America. Sept Special: Benihana Rib Eye Steak dinner for 2 for $38! Currently Benihanas is offering monthly specials. It's a new month and time for a BRAND NEW Chef's Special! Come in and try our hibachi ribeye steak for two for $38. *Cannot be combined with any other offer, promotion or discount. Not available in Las Vegas, NV. Wait! Sign up for the Benihana's Chef Club, and on your birthday you'll get a certificate for $30 toward your birthday. You can apply the birthday certificate toward the dinner, and now 2 can eat for as low as $7.00 (before tax and tip). That gives you a reason to splurge on the fried rice ($3.75). Best of all... as the birthday person, you get fresh pineapple for dessert and a souvenir digital photo for free! Click picture to print coupon. $1 Tuesday all day at Hot Dog on a Stick! Save $10 on select seats for Phantom of the Opera at the Panteges. THE DISTRICT LOUNGE 223 WEST CHAPMAN AVE.
Friday, Sept 3: the English Beat at Del Mar Fairgrounds! Dave Wakeling fronts The English Beat and brings soul, reggae, pop andpunk into a unique and highly danceable sound. Along with contemporaries such as The Specials, The Selecter and Madness, The English Beat became one of the most popular and influential bands of the British Ska movement. English Beat- September 3 at the Del Mar Fairgrounds The concert is free with track admission. Following the last race, concert prices are $20. No reserved seats, standing room only so get here early. Concert starts after the races and is for all ages. http://tinyurl.com/258jtkh Pls RT!